San Pellegrino has announced the 450th anniversary of the Tuscan Medici estate on which the spring for its Aqua Panna water is situated. 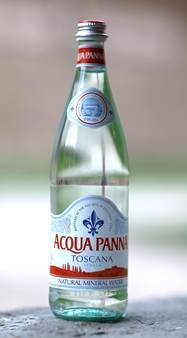 On the occasion, Aqua Panna, became the first water to receive the Tuscan Taste Logo, a seal of Tuscany usually reserved for wines. 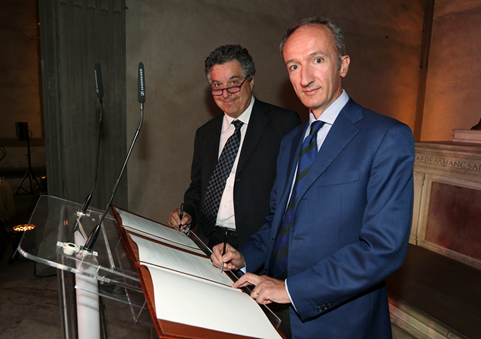 Photo: Gianni Salvadori, minister of the Tuscan region, and Stefano Agostini, CEO of S. Pellegrino , signed an agreement making Aqua Panna an official ambassador of Tuscany.